The current gap between China and the United States can be expected to have a large room for development after the repurchase of the New Deal. 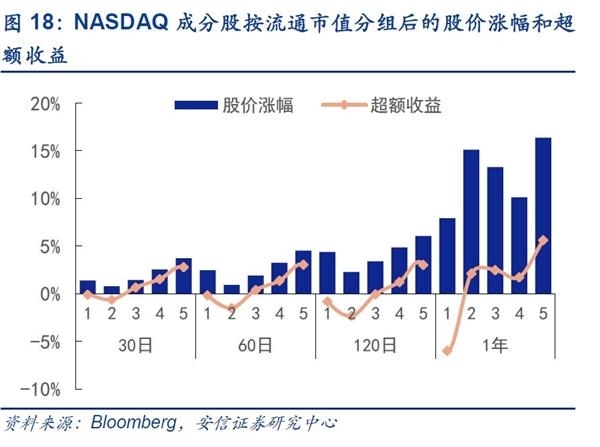 The recent stock market policy has been warmly blown, and the company law has revised the shares.RepoThe optimization and perfection of the system is particularly eye-catching. In fact, as a stabilizer for the stock market, repo has also played a key role in the past ten years of US stock market bull market. So what are the implications of overseas repo? What changes will the A-share repurchase policy bring to the market? Recently, we have deep thoughts on repurchasing and fully communicated with the market. This article will further discuss some valuable issues. ■What is the reference for overseas repurchase system? :In general,Stock repurchaseThe system has a significant positive effect, but it also needs to minimize its negative effects through reasonable regulatory measures. ■The Characteristics of American Stock Repurchase and Its Rising Background: The US repo has a large number of presentations and a large amount of money. Especially after the financial crisis, a large number of companies' stock prices are at the bottom of the valuation, and QE policies have led to a significant reduction in financing costs, which have contributed to the 10-year US stock market repurchase. 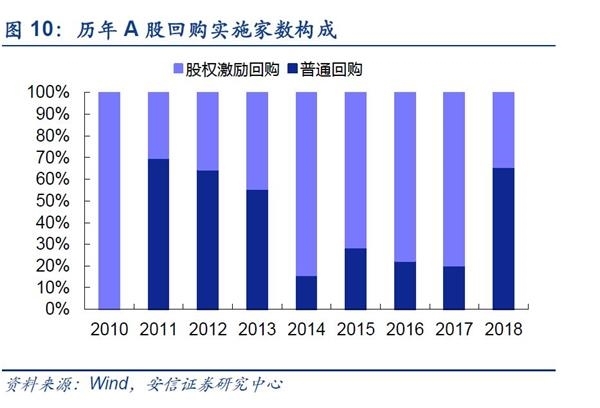 ■Taking US stocks as a reference, how much development space for A-share repurchase: The current gap between China and the United States can be expected to have a large room for development after the repurchase of the New Deal. ■How to repurchase the A-share listed company: As of 18Q3, listed companies hold a total ofcurrencyFunds - short-term liabilities of about 4.2 trillion, as of the end of 2017, the overall listed company has a free cash flow of about 4.2 trillion. ■Why is the past A-share passive repo?The main reason is that the past repurchase system has not been perfected, and the willingness of listed companies to take the initiative to buy back is not strong. On the other hand, the lack of equity incentives for equity incentives has also led to an increase in passive repurchase. ■How to choose stocks and timing in the face of repurchaseAccording to the experience of the US stock market, stocks with higher proportions and smaller market capitalizations perform better in repurchasing companies, and long-term holdings of repurchasing companies can also obtain better excess returns. ■Repurchase must be twistedConversionPrice trend? : A company with good quality, active repurchase in the downturn can help the stock price go out of the bottom, but if the company's own business has big problems, the repurchase may only be a secondary factor affecting the stock price. ■risk warning: The global economy has experienced significant fluctuations; the repurchase situation of listed companies has fallen short of expectations. 1. 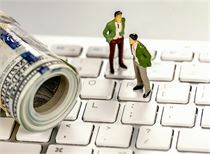 What is the reference for the overseas repurchase system? 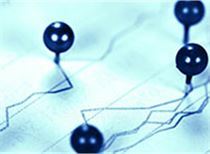 Maintain stock price stability:In addition to the impact of the operating conditions of listed companies, stock price fluctuations will also be greatly affected by external factors such as macroeconomics and market sentiment. When the stock price continues to fall and the stock price is seriously lower than the company's intrinsic value, the listed company can go to the market through the repurchase. Passing positive signals, stabilizing stock prices, bigshareholderAn increase in shareholding ratio can also reduce the risk of being acquired. 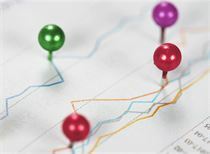 Improve corporate financial indicators in the short term:The decrease in share capital after the repurchase will help to improve the ROE, EPS, andDividendRate and other financial indicators. Improve corporate governance structure:A very important use of repurchase is to carry out equity incentives or employee stock ownership. In the case of separation of ownership and management rights,ExecutiveEquity incentives and the establishment of a common employee stock ownership plan, fully linking their own interests to the company's development, and stimulating work enthusiasm. The choice of repo is not very reasonable:Since the majority shareholder has more information than the minority shareholders, it may promote the repurchase in order to satisfy his personal demands, resulting in unreasonable repurchase price and repurchase timing, and harming the rights and interests of minority shareholders. 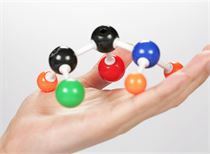 Influence the company's long-term development:If the company only considers the short-term stock price trend to blindly repurchase, the reduction of the account cash may adversely affect the company's solvency and R&D investment. So in general, the stock repurchase system has a significant positive effect, but it also needs to minimize its negative effects through reasonable regulatory measures. A major improvement in the repurchase system in the revision of the company law is the introduction of “stock stocks”, which are clearly due to the implementation of employee stock ownership plans or equity incentives.Convertible bondIn order to maintain the company's value and shareholders' equity, the total number of shares of the company held by the company shall not exceed 10% of the total issued shares of the company and shall be transferred or cancelled within three years. A treasury stock is a type of stock that is issued and held by a shareholder, repurchased by the company and retained on the company's account. The earliest adopting the treasury stock system was the United States. Under the demonstration role of the United States, the mature capital markets such as the United Kingdom, Germany, and Japan also began to implement the treasury stock system. The introduction of treasury stocks has made the repurchase system more perfect. Listed companies can repurchase shares as treasury stocks when the stock market is in a downturn. The longer holding period of treasury stocks can be better.Meet the company's long-term incentive needs. It should be noted that due to the greater flexibility of treasury stocks, in order to prevent listed companies from using treasury stocks to manipulate stock prices,The repurchase purpose, method, price, transfer method, etc. 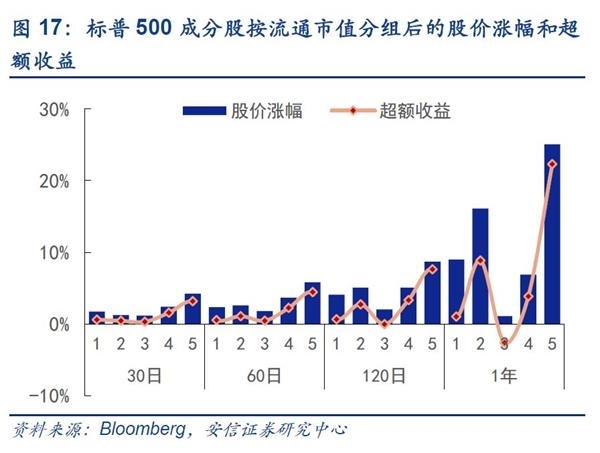 of treasury shares should be strictly restricted.For example, the United States stipulates that repurchase cannot be carried out within half an hour of opening and closing on the trading day. 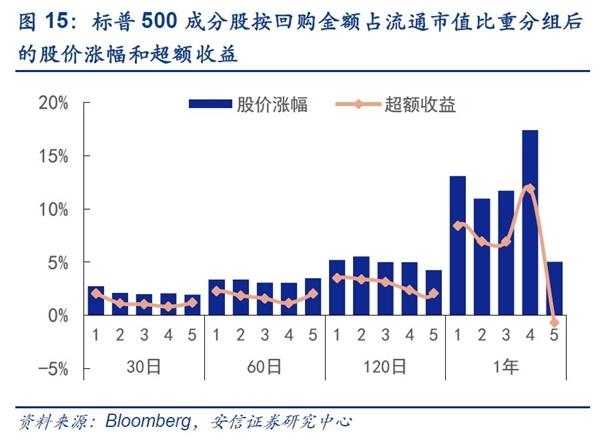 The repurchase price does not exceed the current highest independent purchase price and the highest independent purchase price within the trading day; Hong Kong requires restocking of treasury shares. Detailed disclosure of the sales volume, selling price, selling price and purchase cost price difference, treasury stock balance and other information; Taiwan stipulates the relationship between the company or the director, the supervisor, the manager himself and his spouse, the minor child or the use of others Some shares may not be reduced during the period of repurchase of the company. 2. What are the characteristics and background of the rise of US stock repurchase? As the A-share repurchase system is in line with the US stocks, what repurchase brings to the US stocks naturally becomes a topic of investor relations. Looking back at the big bull market in the past ten years, we find that the bull market is booming with the bull market. operating. According to Bloomberg statistics, since 1998, the S&P 500 constituent stocks have carried out about 5,100 stock repurchases, with a repurchase amount of 7.2 trillion US dollars. In 2017 alone, we repurchased about 560 billion US dollars. Especially since the financial crisis, the repurchase of US stocks has been huge and growing rapidly. 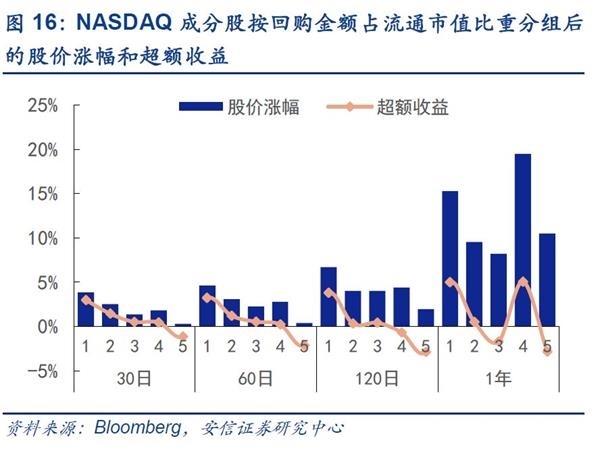 Since 2007,NasdaqThe constituent stocks carried out a total of 7284 stock repurchases, with a repurchase amount of US$3.4 trillion and a repurchase of US$483.2 billion in 2017 alone. According to the repurchase progress of US stocks this year, we expect the total amount of US stock repurchases in 2018 will exceed US$1 trillion. The repurchase of US stock companies is not only a large number (the S&P 500 constituents have repurchased 479 times in the first 10 months of this year) and the amount is huge (the repurchase amount of only S&P 500 constituents in 17 years is the repurchase amount of all A shares in the current year. 522 times). We calculated the proportion of each repurchase and the market value of the company. It is found that the average annual ratio is often more than 5%, and it only declines in the years when the number of individual repurchases is particularly high. Such a big repurchase can be described as sincere. We also need to pay attention to the fact that the US stock market has not been cheap as a whole. The overall valuation of the bull market has not been cheap. With the Fed’s contraction and interest rate hikes, US companies will also have to lower their leverage. When borrowinginterest rateExceeding stock returns, stock repurchases may no longer be favored. 3. With US stocks as a reference, how much development space does A-share repurchase have? When the A-share repurchase system is fully integrated with the US stock market, the motives and actions of the A-share company's repurchase will be close to the US stock repurchase. Then, with US stocks as a reference, how much development space does A-share company stock repurchase currently have? We use three indicators:Repurchase amount/total market value, repurchase amount/dividend amount, repurchase amount/capital expenditure to measure the gap between current US and US stock repurchases. 4. What is the repurchase ability of A-share listed companies? The reason why the repurchase can boost investor confidence and stabilize the stock price is that the listed company sends a positive signal to the stock price through the repurchase, but the repurchase requires the listed company to take out the real money, so how to measure the repurchase The ability to play a key role in investment decisions. 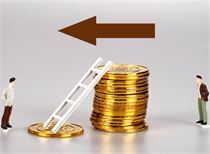 In general, judging the repurchase ability mainly through two major aspects: asset situation, cash flow situation. Below we will analyze the repurchase ability of A-share listed companies through these two aspects. We use monetary funds minus short-term borrowing to measure the repurchase ability of the asset. 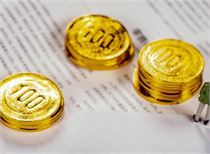 As of 18Q3, the overall listed company holds a total of 9.5 trillion yuan in monetary funds and 5.3 trillion short-term loans. The difference between the two is about 4.2 trillion, accounting for 8.4% of the current total market value. 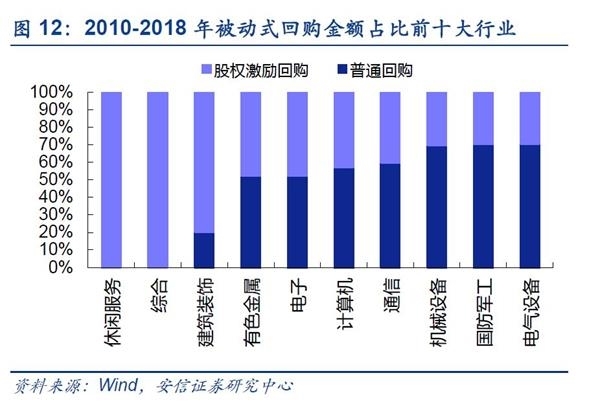 Among them, finance and real estate accounted for a relatively large proportion, and the difference between other listed companies after the elimination of financial real estate totaled 1.75 trillion yuan, accounting for about 5% of the current total market value. For further analysis, we will rank all listed companies according to the difference (money funds - current liabilities) from high to low, every 500 groups, you can see the top 500 listed companies total about 5.4 trillion, and 2000 The three groups after the name are negative. From the perspective of capital, we can find that the repurchase ability is heading. We use corporate free cash flow to measure the repurchase ability at the cash flow perspective. The free cash flow of a company refers to the cash that the enterprise can freely control after deducting the constrained expenditures necessary to meet the needs of production, operation and growth.Free cash flow of the enterprise = pre-tax profit after interest + depreciation and amortization - increase in working capital - capital expenditure. As of the 2017 annual report, the overall listed company has a free cash flow of 4.2 trillion. 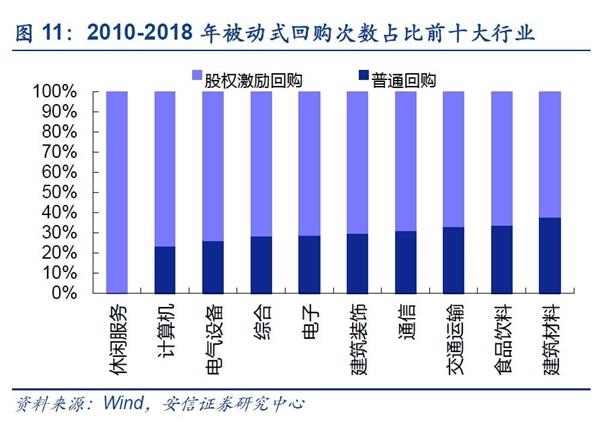 By industry,bankAnd non-bank holding companies have more free cash flow, holding a total of 4.18 trillion yuan, petroleum and petrochemical, coal,food and drinkCommunication, construction, steel, building materials, home appliances, etc. also have more free cash flow. estate,UtilitiesFree cash flow in industries such as electronics, transportation, and power equipment is relatively tight. 5. Why is there a lot of passive repo in the past A shares? Between 2010 and 2018, there were 2,867 repurchases in the A-share market, including 1597 equity incentive repurchase (passive repo) and 1270 ordinary repo (active repo). The proportion of passive repo reached 55.7%. In terms of the amount, passive repo still still has a large share. From 2016 to 2018, the proportion of passive repo has reached 43.16%, 45.6% and 13.15% respectively. Compared with US stocks based on active repo, the passive repo of A shares still occupies a large proportion. From the industry point of view, the number of passive repo purchases in 15 industries such as leisure services, computers, electrical equipment, general and electronics accounted for more than 50%, while the passive repurchase amount of the three industries of leisure service, comprehensive and architectural decoration accounted for It is more than 50%. Before the adoption of the amendment to the company law, the A stock market did not have a perfect repurchase system. The lack of a repurchase system restricted the listed companies from actively repurchasing. 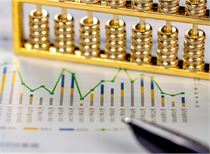 After the official amendment of the company law was passed, the situation of listed companies repurchasing stocks was expanded, and the repurchase process was further simplified. The treasury stocks were also introduced. 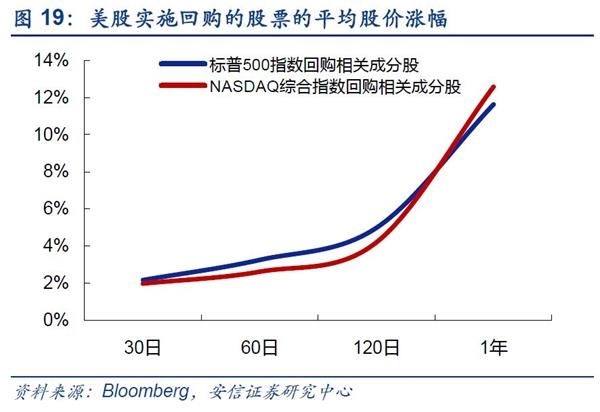 In the future, the pattern of passive repurchase of A shares will gradually reverse. Passive repo generally occurs when the incentive object is resigned or the equity incentive condition is not fulfilled. At this time, the company will repurchase the restricted stock granted to the incentive object and cancel it. On the one hand, there has recently been a wave of senior executives in listed companies. according toStraight flushAccording to statistics, as of September 28, 2018, a total of 2,591 A-share listed companies had their executives resigned, and in the same period of 2017, a total of 2,460 listed companies had their executives resigned. The frequent departure of executives has led to the termination of the original equity incentive plan, resulting in a large number of passive repurchase. On the other hand, listed companies have widely carried out equity incentives in recent years. 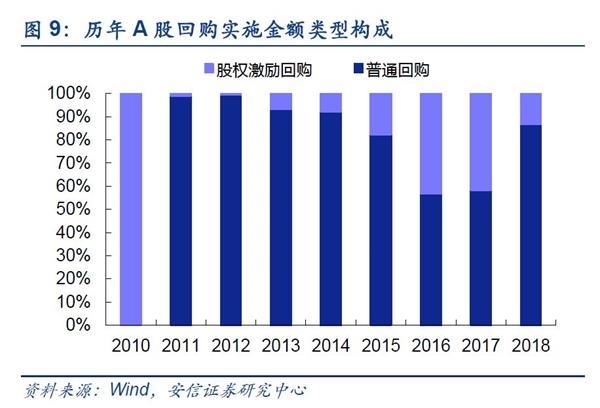 According to Wind data, a total of 1062 listed companies have issued equity incentives since 2010.announcement, reaching 29.87% of the total number of listed companies. This laid the groundwork for a large number of passive repo purchases. From the perspective of industry, equity incentives have also boosted the number of passive repos: the number of equity incentives in each industry and the number of passive repurchases are highly positively correlated. For example, the computer industry with the highest number of equity incentives (261) is also passive. The most purchased (173 times) industry. Due to the companyPerformanceMany equity incentives failed to meet the relevant enforcement conditions, such as the failure to achieve the target or the decline in stock prices, which ultimately led to the growth of passive repo. 6. How to choose stocks and timing in the face of repurchase? The stock picking of the repurchase event can be considered from the dimensions of the repurchase amount, the repurchase amount and the proportion of the total market value. In order to analyze the influence of different factors on the stock picking event, we divided the S&P 500 index and the NASDAQ composite index stocks into five groups, which were divided into five groups: the proportion of the market capitalization and the market value of the circulation. Average share price increase and excess return rate between 30 and 1 year between different groups.We found that US companies with higher repurchase ratios and higher market capitalization perform better..
Stocks with a higher repurchase amount in the market capitalization have higher gains and excess returns. If we do not consider the emergence of high-growth stocks such as Oracle and Adobe in Groups 4 and 5, the increase in the share price of the stock and the relative stock index. Excess returns have shown a certain downward trend. Among them, the NASDAQ Composite Index constituents are more sensitive to the proportion of repurchase amounts than the S&P 500 index constituents. Stocks with smaller market capitalizations have a much smaller base, and the EPS upgrade is more significant after repurchasing stocks. Therefore, the boost effect on stock prices is often more obvious. Regardless of whether it is in the S&P 500 or NASDAQ composite index stocks, the stock price performance and excess return of the small market value group after the repurchase have certain advantages over the large market capital stock. 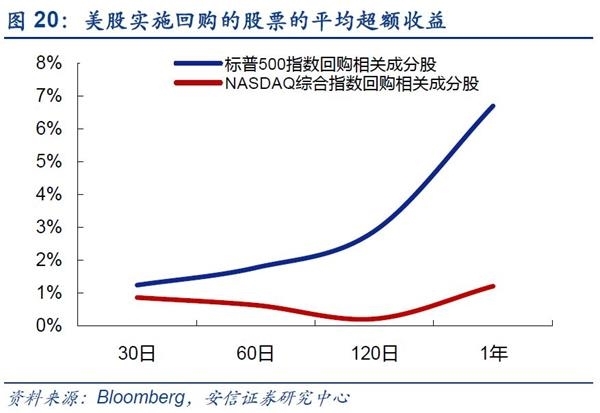 Affected by the US stock market for a long time, the long-term performance of the company's stock after the repurchase is usually better than the short-term performance. This long-term trend has been confirmed regardless of the amount of repurchase, the market value of circulation, and the proportion of the market share of the market. On the whole, the stocks of the S&P 500 and NASDAQ composites rose 11.63% and 12.58% respectively after one year of repurchasing stocks, and the excess returns relative to their respective performance benchmarks reached 6.99%. And 1.21%. This shows that listed companies that have long-term holdings of repurchased stocks in the US stock market can achieve a yield that outperforms the market. 7. Can repurchase be able to reverse the stock price trend? After the company repurchases the stock, the rise and fall of its stock price will not only be affected by the size of the repurchase amount, the proportion of the repurchased shares in the total share capital, but also other factors such as the industry in which the company is located and the company's operating performance. In order to analyze the changes in the company's stock price after the stock repurchase, we have selectedappleThe company and General Electric have two typical US listed companies as research objects. In the past ten years, with the continued popularity of Apple's star product iPhone smartphone, the company's performance has experienced rapid growth, but also accumulated a lot of cash. Due to the global nature of the business, the cash held by Apple is mainly in the form of overseas cash. According to the company's 2017 first quarter report, Apple's overseas cash and its equivalents and short-term securities totaled $239.6 billion. In addition, Apple can generate approximately $10 billion in cash flow each quarter. Good performance and sufficient cash reserves laid the foundation for Apple's repurchase. After President Trump promoted tax reform, Apple was able to repatriate its overseas cash to the US with a lower tax burden, so the future company or Will have a larger share repo space. Since 2008, Apple has carried out several stock repurchases, which have had a very positive impact on its share price. Apple tends to buy back shares when its stock price is undervalued by the market. For example, in 2015, Apple's profit hit a new high, and then Apple's share price experienced a sharp drop of 8% due to the market's lack of optimism about the company's prospects in China. During the downturn of the stock price, Apple launched a repurchase. On the one hand, it successfully conveyed to the market the information that the company's stock price was undervalued. On the other hand, it also brought more returns to the company's shareholders by adjusting the capital structure at a lower cost. In addition, Apple's stock repurchase has enabled the company to offer higher value stock options, making the company more capable in recruiting talent. After the continuous repurchase, Apple's stock price also began to rise all the way out of the downturn. Since 2018, Apple has further added a repurchase program totaling $100 billion. Under the joint promotion of huge repurchase plans and company performance growth, Apple's market capitalization exceeded $1 trillion in August 2018, making it the first listed company to stand firm in trillions of market capitalization. Since the establishment of GE, through a series of mergers and acquisitions and expansion, the company's business has the earliest motor expansion to the medical, aerospace, energy, financial and other fields. Diversified development failed to boost the company's performance. The oil and gas business acquired by the company through mergers and acquisitions was originally in 2014.Oil priceThe situation of the plunge has seriously dragged down the company's profits. In addition, the company's financial business has also suffered from a decline in profitability due to the impact of the international financial crisis. The company's core power business has also continued to slump due to the reduction of new power plant projects. The company also tried to improve share price performance by repurchasing stocks, but failed to achieve significant results. According to Bloomberg data, GE has announced a $70 billion repurchase in the past five years, but the company's share price has hit a nine-year low, and the company has also eliminated the Dow Jones Industrial Average. The reason why the repurchase did not work was that stock repurchases did not improve the company's poor business performance and cumbersome business, and further worsened the company's cash flow.